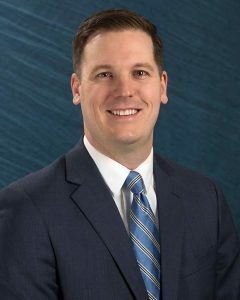 Ian McDonald – Chief Financial Officer - Clyde Companies Inc.Ian McDonald – Chief Financial Officer - Clyde Companies Inc.
Ian McDonald serves as the Chief Financial Officer and Treasurer for Clyde Companies, Inc. and its subsidiaries. Ian leads and oversees accounting, financial planning, treasury, credit management, and auditing departments. His roles prior to joining Clyde Companies include working as the Senior Vice President of Finance for Larry H. Miller Sports & Entertainment and as a Financial Manager at Caterpillar Inc. Throughout his career, Ian has focused on innovative and strategic initiatives that create growth and drive results. Ian graduated from the University of Utah with both a bachelor’s and master’s degree in Accounting, is a member of the AICPA and serves on the Eccles Alumni Board at the David Eccles School of Business. Ian is an avid sports fan and loves traveling with his family. He and his wife Elizabeth live in South Jordan with their four children.